Terra Forming Terra: Did Chupacabra Attack Cows? I am getting profoundly sick of the sickly raccoon fairy tale. Healthy raccoons go not seriously attack animals larger than themselves or those mostly smaller either. They are opportunistic fussy omnivores. This critter has a set of fairly powerful hind legs which must be noted and it is generally short coated which allows distance running as well. I think that this sucker can actually run down rabbits and jackrabbits as well. We do not know what it is. That this one attacked much larger animals is unusual. Yet the damage to the cows suggests we are dealing with a berserk attack rodent of some sort. Yet the loss of the goats tells us we are surely dealing with a much larger creature. You would think that they would carefully inspect those fangs for blood channels also. That also would explain damage around the head of a cow and the loss of the goats whose bodies must be discoverable. A pack of small blood sucking attack rodents could cause this damage including the goat loss if such actually exists. Hopefully someone gats this sample and does a proper work up on it. Did elusive chupacabra attack farmer’s cows? RED SPRINGS — After the disappearance of two goats, evidence of attacks on his cows and some mysterious late-night howls, James Newton believes he has found the culprit — the chupacabra, a creature many experts don’t believe exists. Newton, who owns a farm with his wife, Vanessa, on Dixie Road, had been noticing unusual happenings since taking over the land more than a year ago, including the unexplained loss of two goats in December, and discovering his cows with bloody ears that he believes were evidence of a creature trying to bite the animals. On Monday morning, Newton said his wife alerted him to what she described as “the ugliest animal you’d ever seen” behind their house. 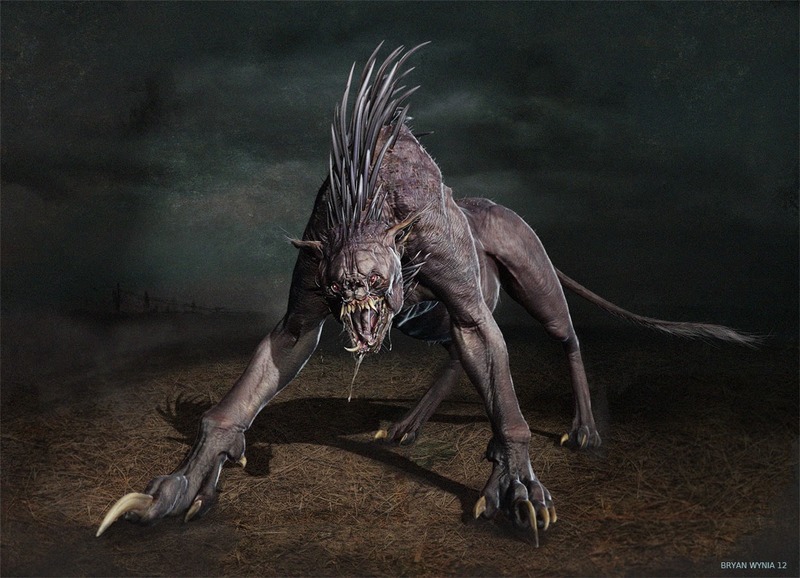 The creature, which they believe may have been killed by the couple’s German shepherd, was 2-feet long, had short, dark gray hair, a lon,g thin tail, protruding teeth and — according to Newton — an uncanny resemblance to a creature popularly known as a chupacabra. “Chupacabra” is a Spanish word that literally translates to “goat sucker.” Reports of the creature can be traced back to Puerto Rico in 1994, when eight sheep were reportedly attacked and drained of blood. Since 1994, a consensus has been formed on how the creature supposedly looks among those who have claimed to have caught the creature in the act. The most common features used to describe the chupacabra are dark skin, little to no hair, a long, thin tail and protruding canines. While there have been a number of cases in which people have found an animal, dead or alive, that they believe to be a chupacabra, skeptics have been quick to dismiss these discoveries as dogs, coyotes or some other kind of animal suffering from mange. In the case of Newton’s chupacabra, both Dr. Curt Locklear of Lumberton’s Southeastern Veterinary Hospital and Tommy Rains, wildlife damage control agent with Cape Fear Wildlife Control, seem to agree, from only viewing photographs, that the body is likely that of a raccoon. Rains added that in his 16 years of working as a wildlife damage control agent, this was the first time he had been asked to identify a chupacabra. Both Locklear and Rains warn that a raccoon that sickly may have been infected with rabies and have suggested that Newton have his dog checked for the virus. More than a dozen cases of rabies were reported during an outbreak of the disease in Robeson County last year. Newton and his wife said they will be keeping an eye out for any other chupacabras and keeping a close watch on their four dogs.